Buying a home comes with quite a few carrying costs. There’s the mortgage, utilities, property taxes and, of course, the home insurance. For most families, a home is the single largest investment of their lifetime, so it only makes sense to protect it with insurance. And if you need a more immediate reason to be convinced, most lenders require that you have home insurance in place when you take out a mortgage, so it’s not always optional. Unfortunately, home insurance premiums have shot up in recent years due to weather-related events, such as the ice storm in Ontario and forest fires in Alberta. That being said, you can still adequately protect your home without purchasing the most comprehensive home insurance policies. 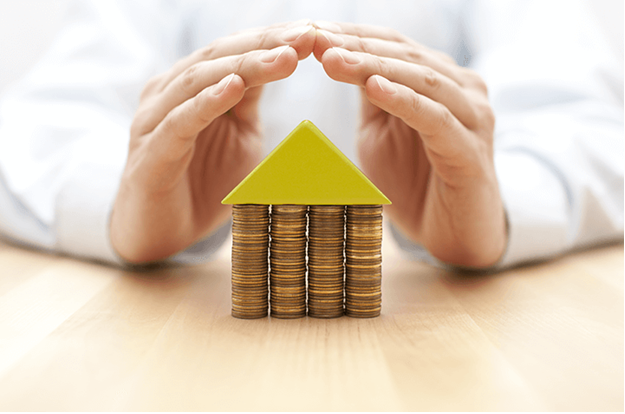 Here are some tips for saving money on home insurance. Many insurance companies offer the choice of paying your home insurance premiums monthly or yearly. From a cash flow standpoint, paying your premiums monthly makes the most sense. However, many insurance companies offer a discount for paying your premiums yearly. Coming up with a year’s worth of premiums at once can seem tough. The easiest way to do it is to save the money ahead of time. Figure out what your annual premiums are and put the money aside in a savings account each month. For example, if your annual premiums are $1,200, put $100 per month in a savings account. That way the money will be there waiting for you when you need it. Many people shop the market for fun stuff like TVs and video game consoles, but when it comes to home insurance, far too many of us are defaulting to our bank. While your bank may offer the best home insurance for your personal situation, you won’t know unless you take the time to shop around. Shopping around for home insurance doesn’t have to be time-consuming or a pain in the neck. Getting quotes is quick and easy when you go online, and it allows you to compare several offers in no time flat. You know how when you bundle your cable and internet, the cable company offers you a discount on the package? Many insurance companies let you do the same thing with different types of insurance. It’s fairly common for insurance companies to offer you a discount when you take out your home insurance and auto insurance together. A word of caution, though: while it can be a great way to save money, take the time to read the fine print of your insurance policies and make sure your coverage is sufficient under both coverages. Many home insurance companies default you to the lowest deductible (the amount you pay out of pocket when filing a claim) when you sign up. But if your deductible is, say, $500, you may be able to up it to $1,000 or $2,000 and save on your monthly (or yearly) premiums. If you decide to increase your deductible, make sure you have enough money set aside to pay out of pocket if you need to file a claim.